Others came before her, like ex-Strikeforce headliner Gina Carano, as well as Japanese sensation Megumii Fuji and regional powerhouse Tara LaRosa, but Rousey was able to bring women’s mixed martial arts (MMA) to the Octagon, where it currently thrives across four different weight classes. Not surprisingly, the promotion will induct her into the UFC Hall of Fame in July. After hanging up the gloves in 2017 — which we are not allowed to refer to as “retirement” — Rousey (12-2) crossed over to the world of professional wrestling, inking a longterm deal with WWE and making her WrestleMania debut back in April. Maybe she can complete the second of these three goals by the end of the year. The Ultimate Fighting Championship has announced that former UFC bantamweight champion Ronda Rousey will be inducted to the UFC Hall of Fame’s “Modern Wing.” Rousey will be the first ever woman MMA fighter to be inducted to the Hall of Fame. Regardless of whether you loved her or hated her, you can’t deny that Ronda Rousey changed the face of the sport. When Dana White declared that the UFC would never let women into the Octagon, Rousey broke down the cage door with a superstar persona and an unstoppable armbar. And when the UFC needed stars to light the way as old heroes faded, she assumed the role like she was meant for it. So of course Rousey is going to be inducted into the UFC Hall of Fame. She deserves it. More so than most, she deserves it. Las Vegas – UFC® today announced that former UFC and Strikeforce® women’s bantamweight champion Ronda Rousey will be inducted into the UFC Hall of Fame’s ‘Modern Wing’ as a member of the class of 2018. The 2018 UFC Hall of Fame Induction Ceremony will take place on Thursday, July 5, at The Pearl at the Palms Casino Resort in Las Vegas. The event will be streamed live and exclusively on UFC FIGHT PASS® starting at 7 p.m. PT. The post Ronda Rousey to Be Inducted Into UFC Hall of Fame appeared first on Caged Insider. UFC female bantamweight champ Amanda Nunes is headlining UFC 224 this weekend. And though she’ll be facing Raquel Pennington, and the bout takes place in her home-country of Brazil, the only storyline that matters – will ever matter – is that Nunes once beat the crap out of Ronda Rousey. Seriously, Nunes could retire tomorrow, and still those highlight reels will show her crushing Rousey like an annoying bug. When Nunes faced Rousey at UFC 207, the former was the champ and the latter the challenger, because Holly Holm had head-kicked the belt away from Rousey, then Miesha Tate choked Holm, and Nunes pounded out Tate. 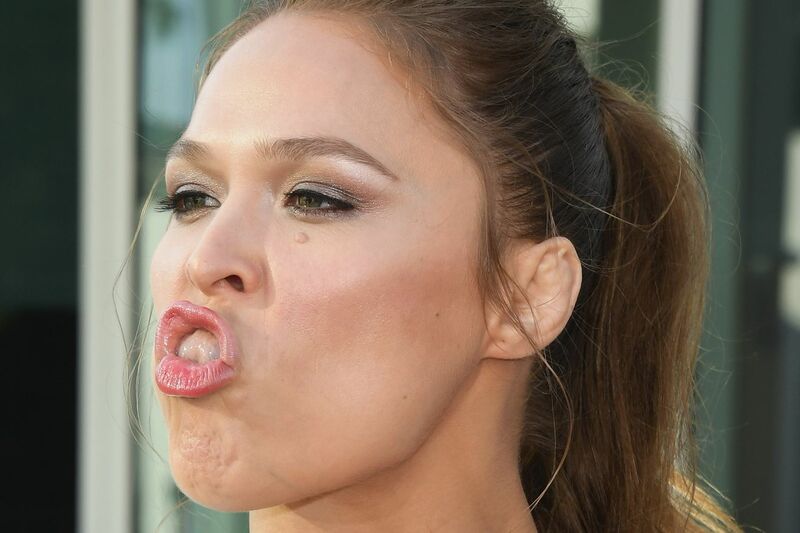 But despite her challenger status, Rousey was far and away the star of the show. She was, after all, the reason there were females fighting in the Octagon. Unfortunately, the pressures of fame bore down heavily on the judo Olympian, and with every eye and lens upon her, Rousey was all frowns. She was also all bluster and no training – as evidenced by the complete destruction Nunes inflicted upon her via her fists. Rousey was TKO’d in a whole 48 seconds. So here’s the fight. Watch and enjoy. The post Behold the Greatness That is Amanda Nunes Crushing Ronda Rousey appeared first on Caged Insider.